Don't be scared – a black cat is magical and brings good luck! This one is a quiet cat that offers a cheerful greeting. 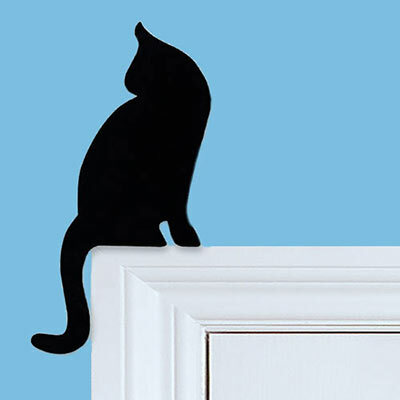 Funny silhouette will add a touch of whimsy to a window or door frame. Removable in pvc and paper. 14½"h, 5¾"w.